The proposed GMO moratorium petition received enough signatures June 6. The Council referred the bill on June 20 to the Policy and Intergovernmental Affairs Committee. On June 30, the committee received testimony from more than 200 residents in the Chamber and district offices. If the Council does not adopt the ordinance by Aug. 5, the initiative will be placed on the 2014 General Election ballot for consideration by the electorate. 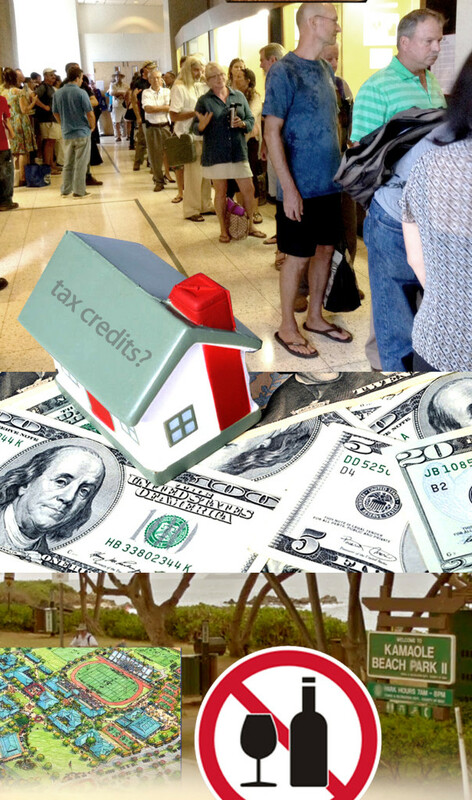 Council will consider on first reading proposed amendments relating to eligibility requirements for the real property tax credit also known as the circuit breaker tax credit The purpose of the tax credit is to ensure homeowners are not forced out of their residences because of an inability to pay real property taxes. 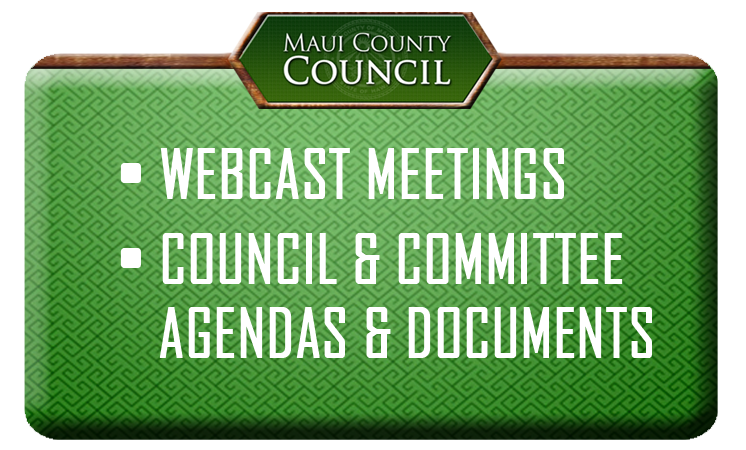 For more information, review Committee Report 14-68 at mauicounty.gov/committees/bf. The Council will consider on first reading a bill to ban the consumption of intoxicating liquor within the boundaries of Kamaole Beach Park II in Kihei. The bill, introduced by Councilmember Don Couch, follows existing bans at other South Maui beaches. On June 20, the Council passed Bills 38 and 39 (2014), zoning and community plan amendments for the proposed Kihei high school. Phase I of school anticipates accommodating 800 students.